For durability that never quits and comfort that lasts all day long, put yourself in these Wrangler Riggs Men's Vintage Indigo 3W001 VI Work Horse Relaxed Fit Jeans. The key to comfort in these hardworking relaxed-fit denim pants is the Room2Move® fit that pro ... (see full details) (see specifications) #WRG3W001VI. For durability that never quits and comfort that lasts all day long, put yourself in these Wrangler Riggs Men's Vintage Indigo 3W001 VI Work Horse Relaxed Fit Jeans. The key to comfort in these hardworking relaxed-fit denim pants is the Room2Move® fit that provides an improved fit in the seat, thigh, knee, and leg openings plus an action-gusset crotch, extra fabric that provides unrestricted freedom of movement when you bend, squat, and stretch. The rise is high for comfort, and they're made to fit over your boots. For all-over rugged toughness, they're made with sturdy 14.5-ounce 100% cotton Durashield® denim, a performance fabric that moves when you wash it and wear it, helping it resist abrasion and retain color. The result is a pair of ruggedly durable work pants with the soft, natural feel of cotton. For added durability, they're constructed using triple-needle stitching and feature a #5 YKK brass zipper and 3/4-inch X 2 1/4-inch belt loops made with work belts in mind. Designed for work, these carpenter-style pants feature a right-side hammer loop and five-pocket styling, including an oversized watch pocket and 13-inch deep front pockets with 7.25-ounce white pocketing and a tape measure reinforcement on the right pocket. The back pockets are reinforced at stress points and are lined with 1000-Denier Cordura® fabric to guard against wear. When the days wear long and hard, give yourself the advantage of workwear that works as hard as you do, these Wrangler Riggs Men's Antique Indigo 3W001 VI Work Horse Relaxed Fit Jeans. We have them at Working Person's Store. Order yours today! After ordering two pairs of these jeans and wearing them, I ordered two more. I wasted a lot of money looking for durable jeans like these. These are the "real deal". Co-workers I talk to buy cheap jeans because "they just don't last." Let me tell you, "THESE JEANS LAST!" The gusset crotch feature is the thing that got my attention as that is the area that always "blows out." I'm sold on these jeans, anyone who tries them will be as well. These are good jeans, nice and heavy, the gusset feature is well thought-out, and I like the corodura lining in the pockets. The only things I don't like about these jeans is that they are really baggy, which is great if you're a hip-hop star, but not so great if you don't want to look like one. If Wrangler made a pair of these "Work Horse" jeans in a more traditional, straight leg style, I think they'd have a real winner. I still like these for work in a warehouse environment, just not so much for general, casual wear. were have these wonderful jeans been hiding? They are the greatest ever. Strong, durable, comfortable, and priced right. Husband loves them. 11 out of 14 people found this product review helpful. 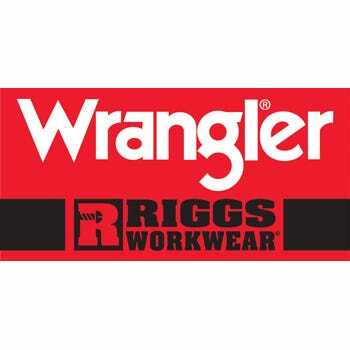 Wrangler Riggs Jeans: Men's Vintage Indigo 3W001 VI Work Horse Relaxed Fit Jeans is being added to your cart.